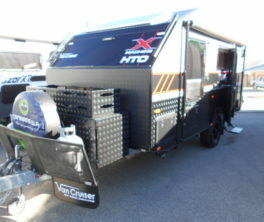 The Razor XT is our newest entry into our off-road range of caravans. As with our other caravans this caravan is built with style in mind. 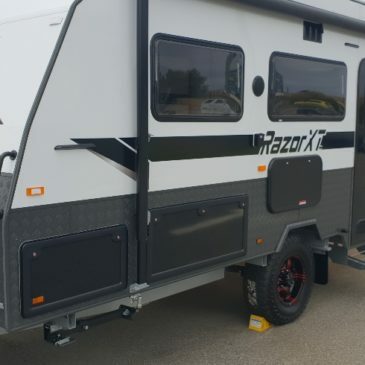 Aimed at buyers that a looking for a smaller sized off-road caravan, the Razor XT will make sure you and your loved ones capture moments of magic on the wide, open road. Whether you’re an experienced caravan enthusiast or a first time buyer, the Razor XT has a little bit of something for everyone. It’s ideal for those looking to travel in tough terrain in style, which makes it great for couples or families who want to travel the country together. In life you can take on bold and daring adventures. That’s why we created the Razor XT. 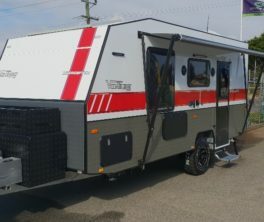 This single axle off-roading caravan is equipped with Al-Ko Enduro Outback suspension that is suitably adapted for travelling either on the open road, or on tough, dirt trails. 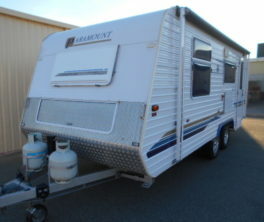 This ‘tuff’ caravan offers you all the advantages of a compact off-roader caravan but without any compromise on luxury. Thetford refrigerator, top of the range electrical fittings (LED lighting, 24″ LCD television with in-built DVD player), a stove top/sink combination, plenty of drawer and overhead cupboard storage. With a ensuite toilet area next to a separate shower, and of course, an external shower, it’s clear to see why the Razor XT is fast becoming our most popular single axle semi off-road caravan. 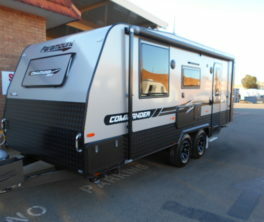 Not to be outdone by its larger cousins in the Aussiemate range, the Razor XT comes standard with extensive internal storage areas under the main bed (accessible from outside the caravan), generous sleeping quarters, a slide out kitchen set up (with the same stove top/sink combination found inside the caravan), two 9kg gas bottles, two 951t fresh water tanks all fitted with stone guards and two 150 watt solar panels for maximum power generating to ensure that the Razor XT is the perfect caravan for that adventure weekend away. A caravan designed to offer all the creature comforts of home, the Razor XT comes standard with double glazed windows, and checker plate protection. Looking beyond the quality of the interior fit out reveals a huge amount of storage capacity, while the interior décor options available have been specifically chosen to enhance the ‘luxe’ feel you may come to expect with a caravan costing a great deal more. All kitchen and bathroom appliances have been hand-picked to add a touch of class for that well deserved lifestyle while touring. Engineered and designed with purpose, the Razor XT has been constructed using premium quality and sustainable materials to help ensure all the things we love about the great outdoors continue to be available for generations to come.